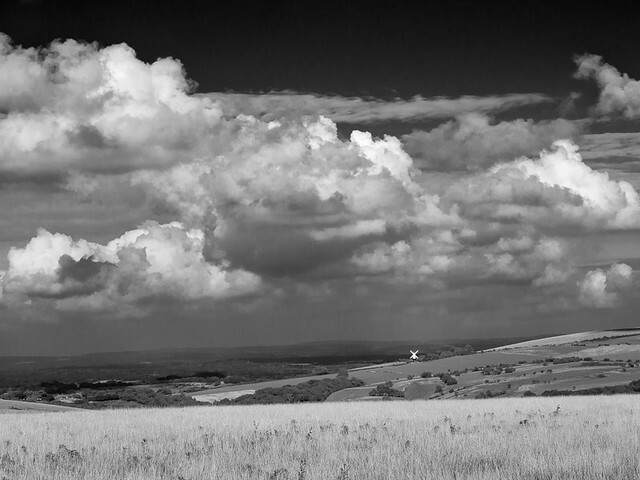 The South Downs is an Area of Outstanding Natural Beauty, but in addition to the glorious rolling downland landscape it is enhanced by man made structures, in particular the windmills which shine like beacons when the sun lights up their sails and the ‘smock’ or mill itself. Walking the South Downs Way provides a great opportunity to see these charming buildings from near and far. 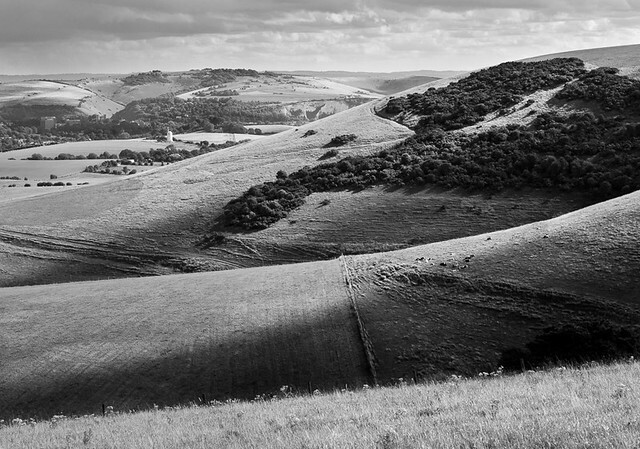 At the top of this page is an image of one of a pair of windmills at Clayton to the north of Brighton. This one is fondly called ‘Jill’ and there are no prizes for guessing the other one is called ‘Jack’. Of the two ‘Jill’ is the one that stands out and is very visible from a distance. Its white smock and four sails is in stark contrast to ‘Jack’, which is painted black and has no sails. 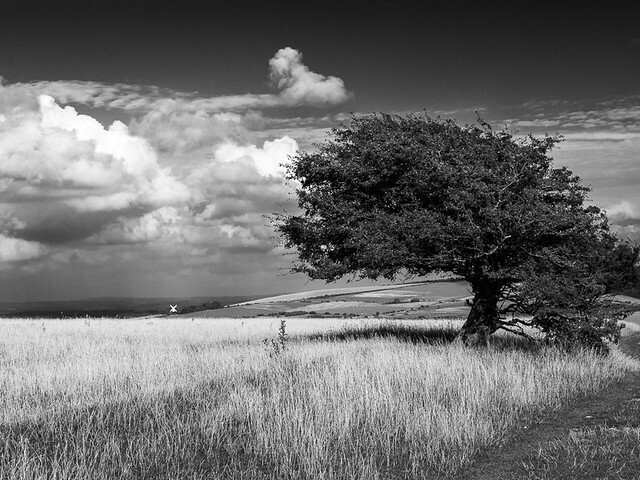 The next two images were taken from West Hill to the east of Pyecombe. 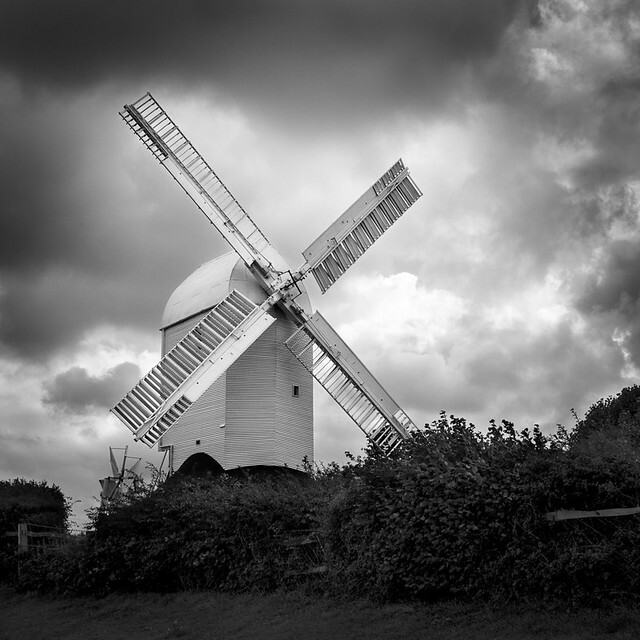 The other windmill which regularly appears in the landscape is Ashcombe Mill at Kingston, near Lewes in East Sussex. Like ‘Jill’ it has a white smock and currently only has two sails. Originally built in 1828 it was destroyed by a gale in 1916. Since 2009 work started to rebuild this windmill and when completed will have six sails. 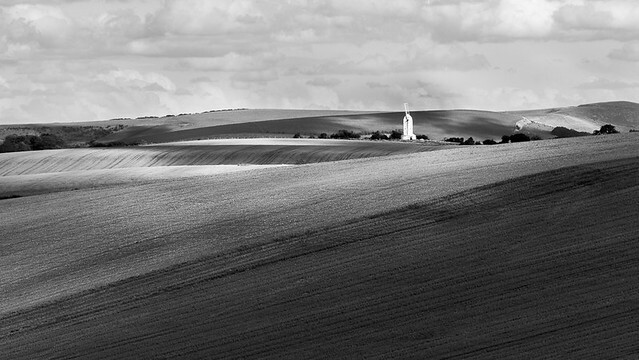 The two images below show Ashcombe Mill in its downland setting. One day I will return and visit Ashcombe Mill itself, when the restoration is complete and the windmill has been returned to its former glory.